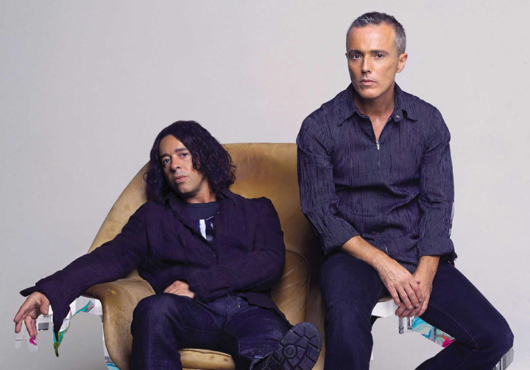 One of the stops on the week-long Tears for Fears concert series will be on the 19th of June at the Wild Horse Pass Casino and Hotel. Tickets for this show will range from $65 to $119 and will go on sale the 1st of April 12 noon MST. Lots of discounts available to the casino’s members. Fans under 18 must be accompanied by an adult of 21 years or older. Doors open at 8pm. To buy tickets, click here. The show takes place inside the Ovations Showroom. It holds up to 1,400 and there are “seats” this is not general admission. 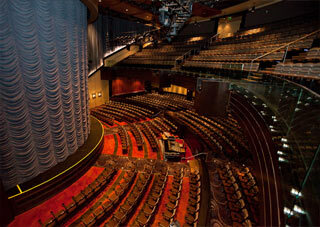 The seats surround the stage in a crescent shape so there aren’t any bad seats or poor views. Ovations Showroom – imagine that gorgeous curtain rising to reveal that band! We suggest you stay at the hotel, remain close to the venue. The hotel is the Wild Horse Pass Hotel. You can make reservations by clicking here. The accommodations include a lounge which is open from 10am – 2am daily. The one thing we love about casinos is the option to hang out after a show and just enjoy post-show chit chat and making new friends. No need to stand in line at this venue, so all of the socialising will take place at the end of the show. We do have a few registered Travel Fans in the Arizona area and once we confirm their participation we’ll let you know who to reach out to if you have questions about the area. This page will be updated with more info closer to the date. Update: Lael will be organising an activity. Be sure to reach out to her before the show. We’ve tweeted about this previously, hopefully all who wish to hang out have received this. Click here for info.